Delhi High Court on Tuesday stayed the notice issued by Bar Council of India to Senior Advocate Dushyant Dave based on a complaint filed by Advocate R.P. Luthra demanding immediate disciplinary action against Dave and suspension of his certificate of practice for "gross professional and other misconduct". Justice Rajiv Shakdher was hearing a petition filed by Dave challenging the notice. Senior Advocates Aravind Nigam, Amarjit Singh Chandhiok , Kirti Uppal and Advocates Sushil Salwan and Aditya Garg appeared for Dave. "The impugned order dated 24.01.2018 is liable to be quashed / set aside being wholly without jurisdiction and/or without any authority of law and therefore being completely void ab initio. Further, the said order has been accentuated by legal malice, issued in colourable exercise of assumption of power and to achieve a collateral purpose to harm the reputation and goodwill established and achieved by the Petitioner during his practice spread over four decades. The said order is contrary to the provisions of the Advocates Act, 1961 and is also violative of Articles 14, 19(1)(g) and 21 of the Constitution of India", states the petition. The petitioner also submitted that the BCI lacks any power to pass the order of the nature it has done but it had no further power to direct the constitution of a particular type of Disciplinary Committee and entrust the same with the enquiry. "Under the statute Disciplinary Committees are constituted and therefore such an order is clearly perverse and unjust. Equally, Respondent No. 1’s desire and therefore direction to Respondent No. 2 to conclude by proceedings by 28.02.2018 reflects its strong bias and prejudice against the Petitioner. The Petitioner will not get any justice whatsoever from the Respondent authorities and therefore will suffer irreparably. The Respondent No. 2 has not protested to the Respondent No.1 regarding usurpation of its jurisdiction authority and power. The said order is therefore liable to be set aside". 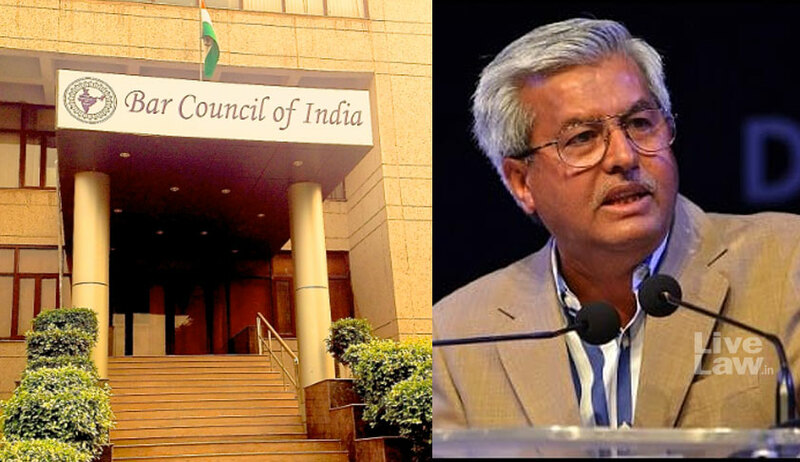 The Bar Council of India has passed a resolution based on the Complaint filed by RP Luthra against Dushyant Dave and Prashant Bhushan. The resolution had then requested the Chairman, Vice-Chairman and the Chairman, Executive Committee to examine the material available on record and pass appropriate directions. Thereafter, on 24 January, the trio passed similar orders in relation to allegations of misconduct against Mr. Dave as well, directing the Bar Council of Gujarat(Special Committee) to look into the matter and decide on the complaint by 28 February. The order makes reference to Mr. Dave's conduct in the Petition filed by Congress leader Tehseen Poonawalla demanding an independent probe into the alleged mysterious death of CBI Special Judge B.H. Loya. There were reports that allege that Mr. Dave had advised Mr. Poonawalla to withdraw his petition from the Apex Court "casting some allegations against one of the Hon’ble Judge of Supreme Court". Commenting on his conduct, the order states, "This conduct prima-facie appears to be unprofessional. The various statements of Mr. Dave made in and outside the Court make it clear that Mr. Dave is acting at the instance of some lobby which is at work to maneuver a particular case in a particular manner either to score political points at the forum of Supreme Court and other Courts and/or to gain publicity on the media. Prima-facie, it appears that by doing this, Mr. Dave has been maligning the image of the profession as well as of the Institution." The order also talks about a recent hearing in Judge Loya case, wherein Mr. Dave had opposed Mr. Harish Salve's appearance on behalf of the State, citing a conflict of interest as he had appeared for Mr. Amit Shah in the Sohrabuddin case. This had led to a heated exchange between the two lawyers, prompting the Bench to intervene. You may read the entire exchange here. The order, therefore, asserts, "... from the entire conversation, as well as the regular derogatory statements issued by Mr. Dave for last few months against the Judges or some Advocates, prima-facie it appears that Mr. Dave has been committing serious misconduct. The media reports prima facie show that the entire legal fraternity as well as the institution is being damaged by such reckless, deliberate, contemptuous and derogatory statements of Mr. Dave."